The holidays are a busy time. 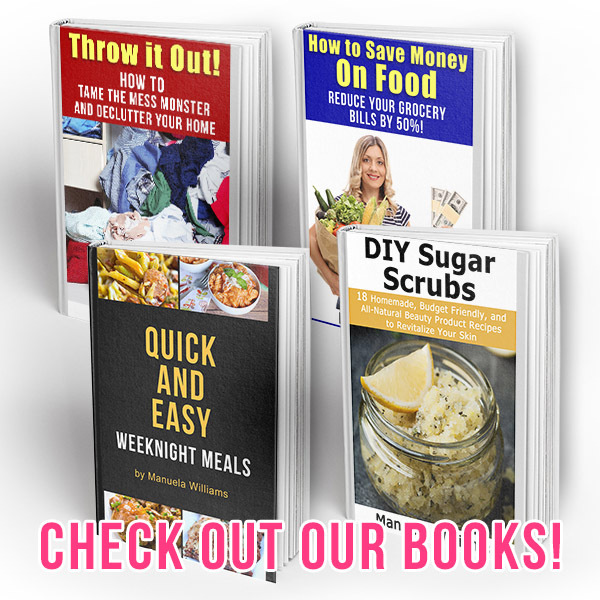 So while we all dream of having the time and energy to spend ages in the kitchen whipping up the most delectable holiday treats, that usually isn’t the reality. But just because you’re short on time/energy doesn’t mean you can’t create some fun holiday snacks. 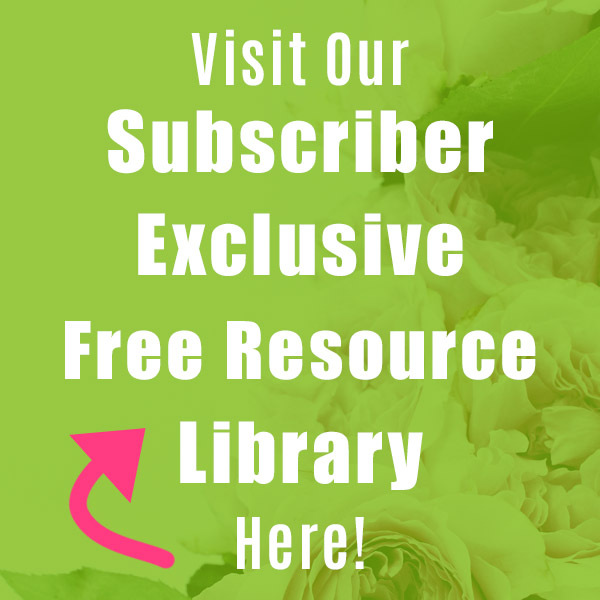 This one can be made from start to finish in under 10 minutes. 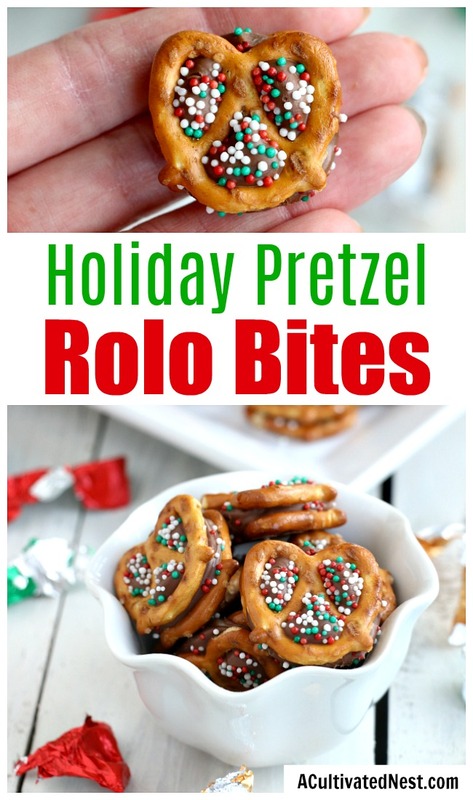 Here’s is how to make quick, easy, and delicious Holiday Pretzel Rolo Bites! These make great after-school snacks, party treats, or casual holiday dinner appetizers. 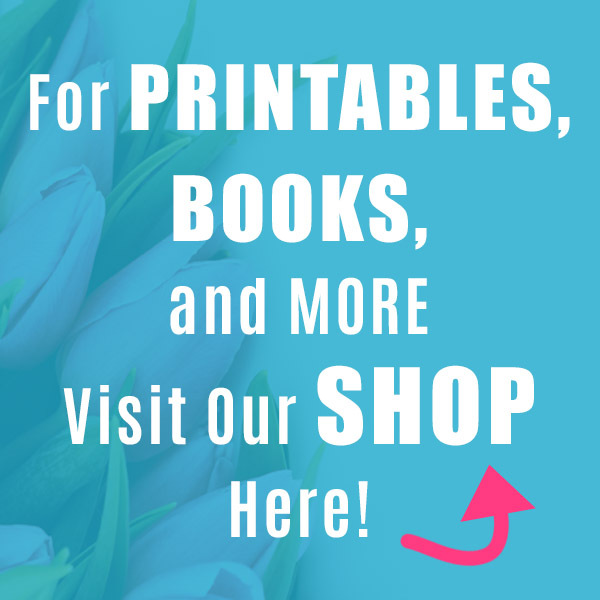 And since they’re so easy to make, the kids can even help out! 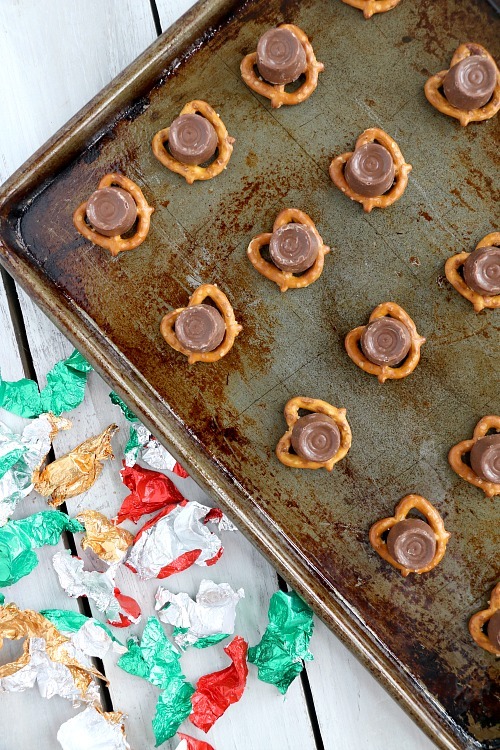 Technically you don’t have to use Rolos to make these. If Rolos aren’t really your thing, try a different kind of chocolate candy instead. Hershey Kisses might work well. 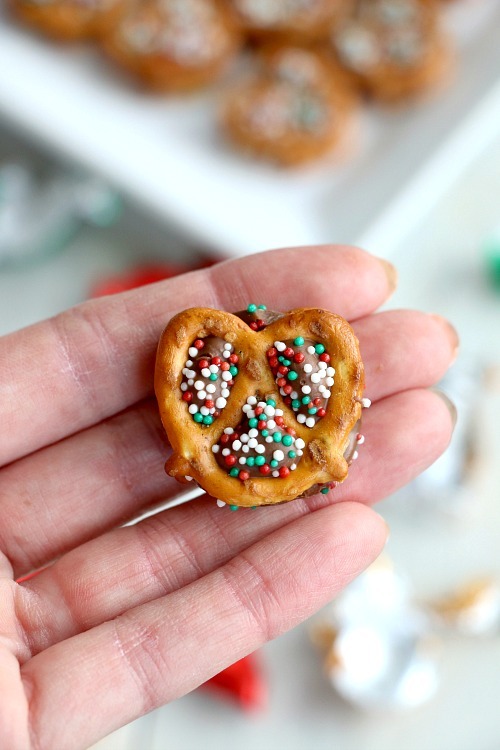 Want to turn these pretzel rolo bites into a gluten free holiday snack? According to the Hershey Company, all Rolos except for the mini ones are gluten free. So just get gluten-free pretzels and make sure your sprinkles are gluten free, and you’ll be ready to make an easy gluten free dessert! 2. 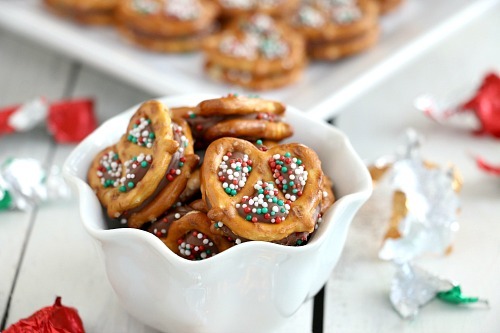 Place pretzels on a baking sheet with a Rolo on top of each pretzel. 3. Bake for 3 minutes. You just want to melt the Rolos a bit, not bake the pretzels. 4. When removed from the oven, immediately push another pretzel onto each Rolo, creating a little sandwich. 5. Decorate with sprinkles of your choice. Sprinkle them on top, then lift up the Rolo sandwiches and press them into the excess sprinkles in the pan, so both sides get sprinkles. 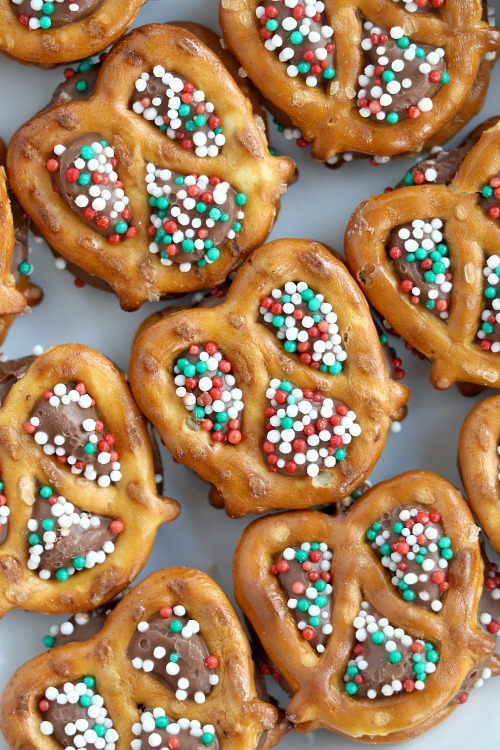 Then serve your holiday pretzel Rolo bites right away, or keep them in an airtight container for later. Want to give these as a gift? Put them in cellophane treat bags and tie them closed with a cute ribbon. For an even prettier gift, put them in these DIY buffalo check mini gift pots! What quick treats do you like to make during the holidays? 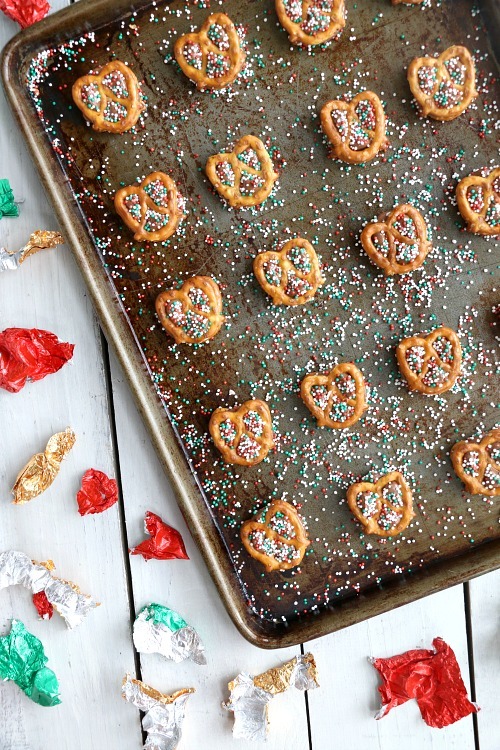 Just because the holidays are a busy time doesn’t mean you can’t make some fun, festive snacks! 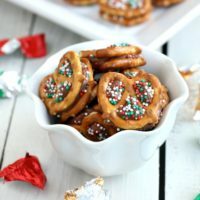 These holiday pretzel rolo bites only take 10 minutes! 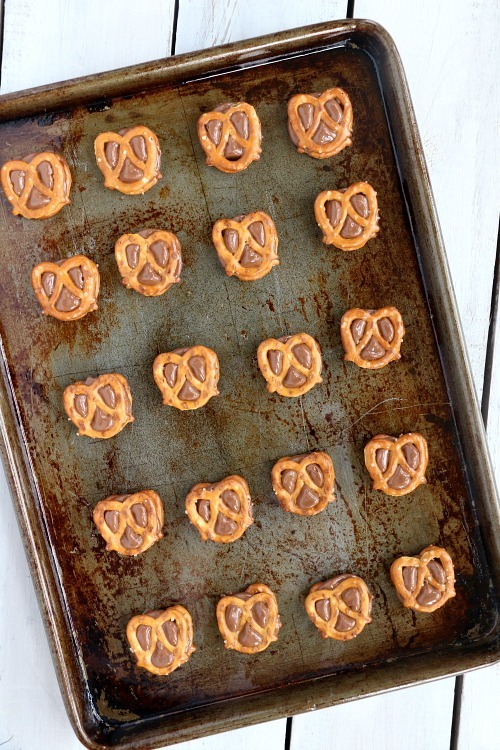 Place pretzels on a baking sheet with a Rolo on top of each pretzel. Bake for 3 minutes. You just want to melt the Rolos a bit, not bake the pretzels. When removed from the oven, immediately push another pretzel onto each Rolo, creating a little sandwich. Decorate with sprinkles of your choice. Sprinkle them on top, then lift up the Rolo sandwiches and press them into the excess sprinkles in the pan, so both sides get sprinkles.